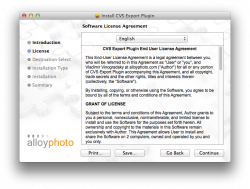 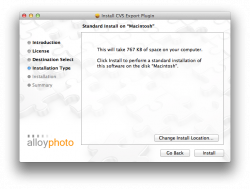 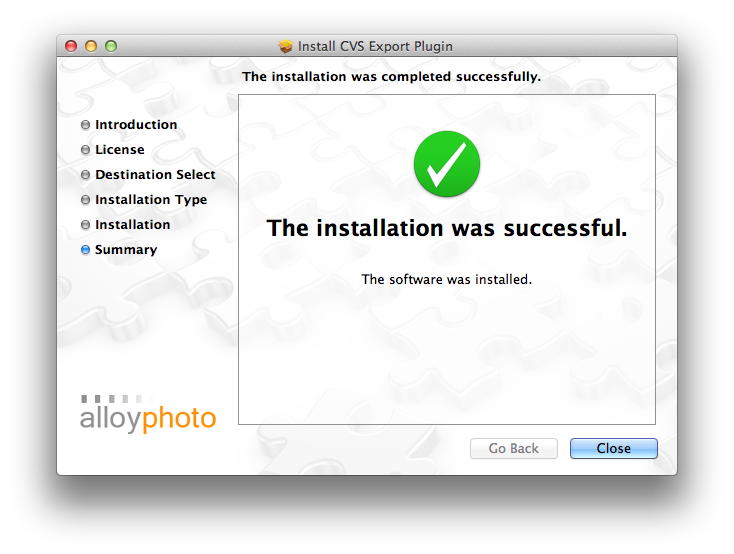 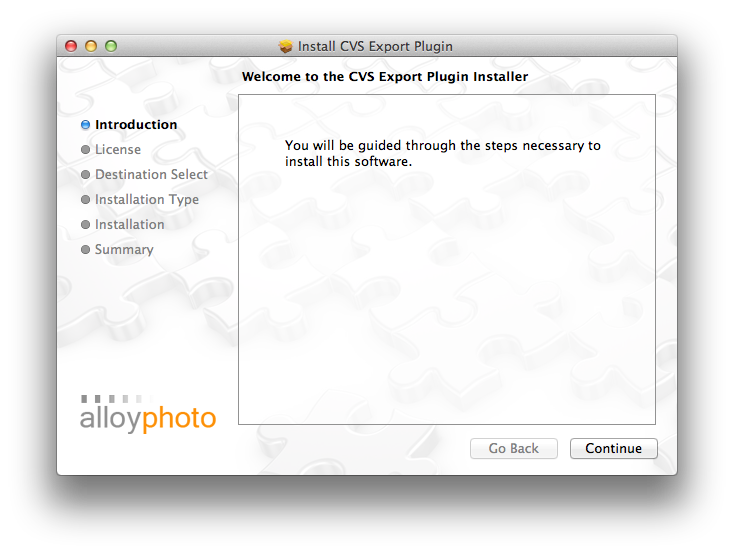 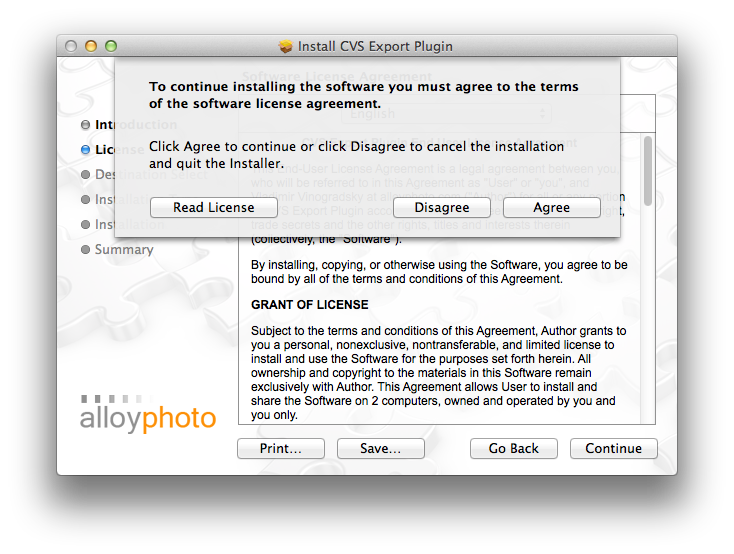 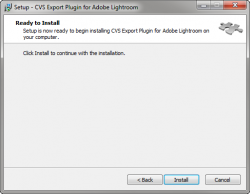 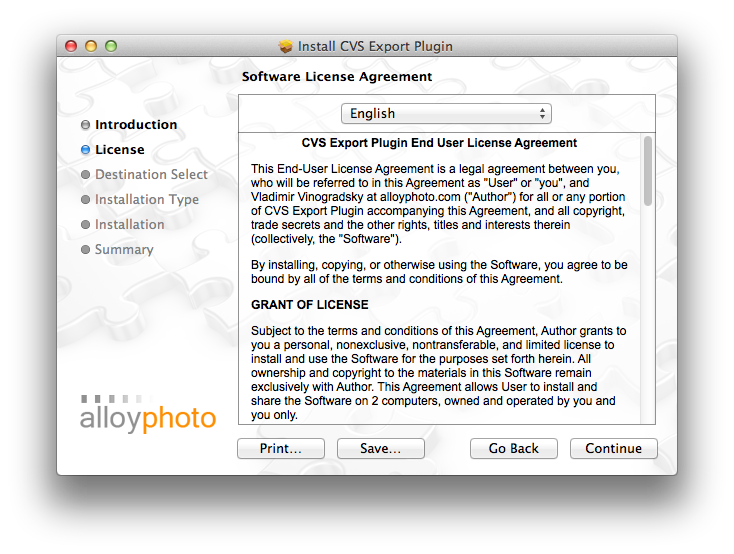 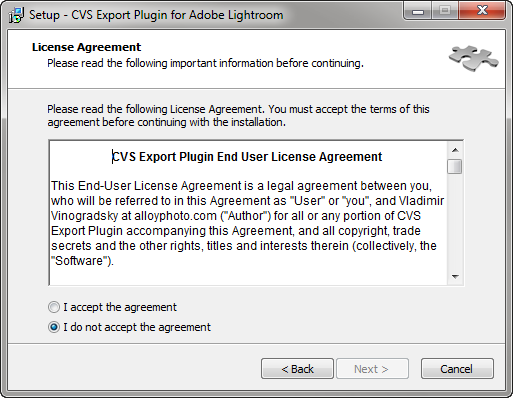 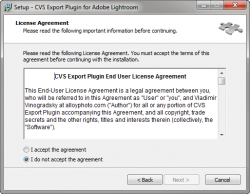 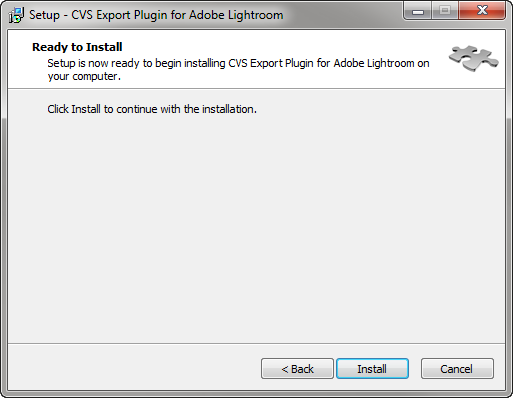 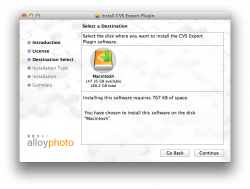 Starting with version 1.8.0 the CVS Export Plug-in features automatic installers for Windows and Mac OS. 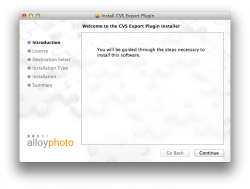 Download the package for your operating system to the computer where you plan to install the plugin. 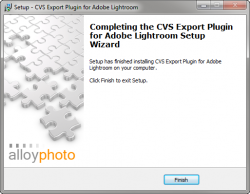 Make sure Lightroom is not running when you install the plugin. 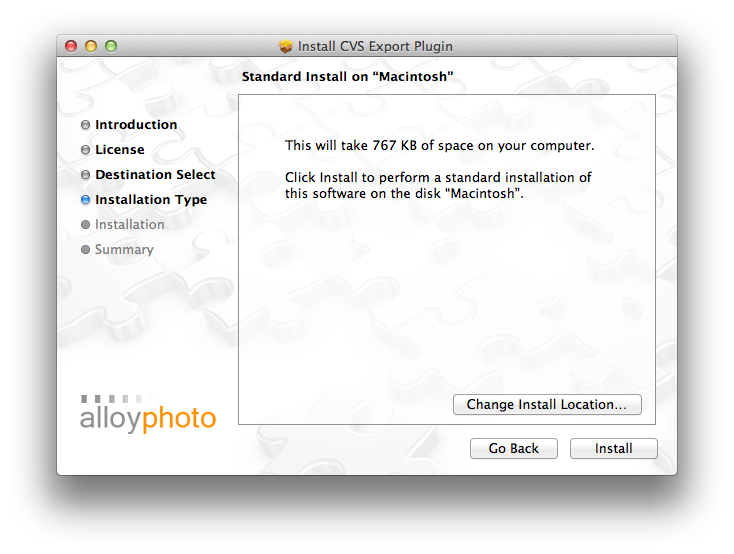 If you are running Mac OS 10.8.2 you may get an error message saying the package can't be opened because it's from an unidentified developer. 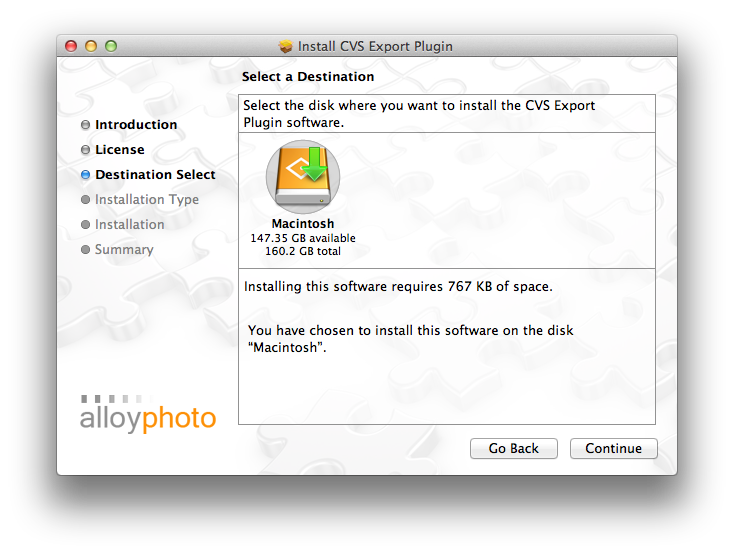 Simply right-click on package icon and choose "Open" from the pop-up menu. 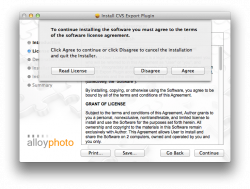 You will receive another warning about an undentified developer, however you will be able to choose to continue with the installation. 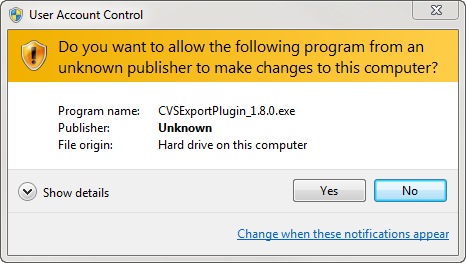 If you are installing the new package on a computer where you had an older version (prior to 1.8.0) of the plugin installed, you should remove the older installation first. Run Lightroom, go File > Plug-in Manager and then remove the plug-in from the list. Then close Lightroom and proceed with the installation as explained above.